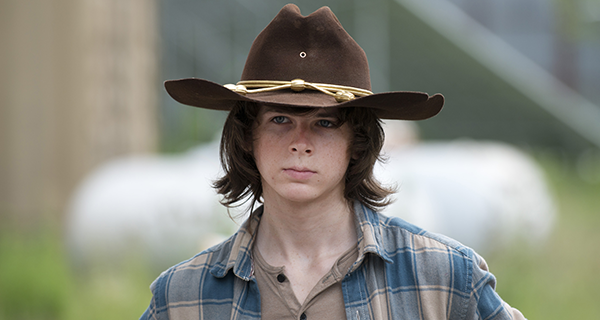 The end of March also brought the end to Season 5 of AMC’s hit drama The Walking Dead, and in just a few weeks, Season 6 will be starting up. If you’re not caught up on the show, now’s the perfect time to do so, as Anchor Bay Entertainment has just released The Walking Dead: The Complete Fifth Season on DVD and Blu-ray, both of which contain all 16 episodes of the season on five discs, along with plenty of bonus features. 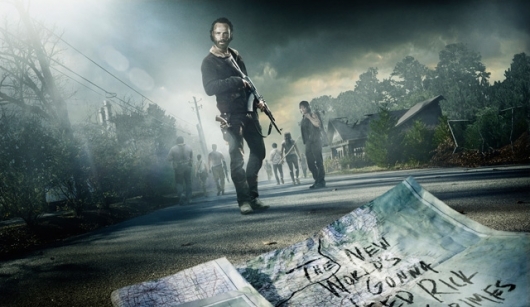 The Walking Dead centers on a group of survivors of a zombie apocalypse in Georgia who band together as a family and find safety in numbers, first at a campsite, then at a kindly doctor’s farm, and eventually in an abandoned prison. 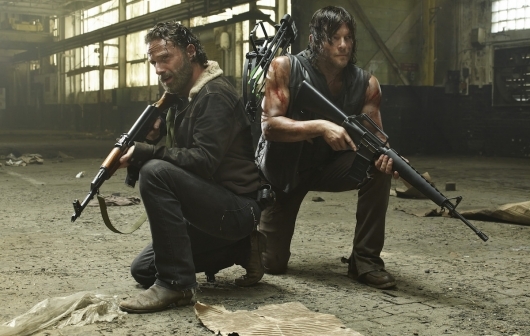 Led by sheriff’s deputy Rick Grimes (Andrew Lincoln), over time the group not only hones their survival skills, but they learn to use weapons to fight the “Walkers” — those infected by the zombie virus, who then return from the dead as mindless creatures whose sole instinct is to feast on human flesh. Once Rick and his community, which over the course of the series had seen growth spurts as well as many sad deaths, found the prison, it seemed as though they finally had a safe haven they could settle in. But as we know, all good things must come to an end, especially in a world where survival of the fittest has never been more true. 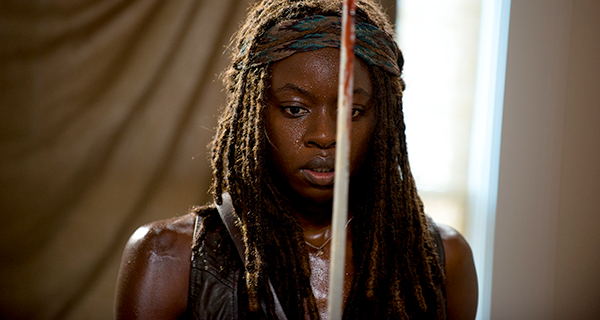 Watch ‘The Walking Dead’ Season 5 DVD Deleted Scene! It’s almost walker season! Next week is chock full of zombies. Not only do we have the premiere of our undead prequel, Fear The Walking Dead on Sunday, August 23rd on AMC, on August 25th, The Walking Dead: The Complete Fifth Season is coming to Blu-ray™ + Digital HD and DVD. Included in that is a deleted scene from Episode 5.3 “Four Walls And A Roof,” which we have right here for you. 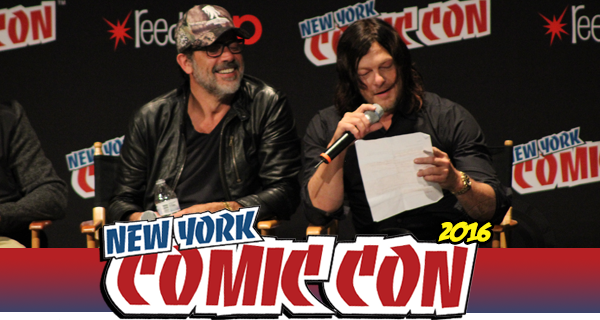 Watch the deleted scene and other bonus season 5 DVD videos below. 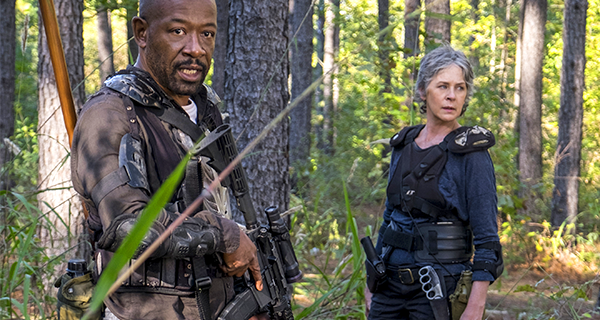 AMC’s The Walking Dead Season 5 Finale — Episode 516 “Conquer” — aired on Sunday night and thankfully, we didn’t get the usual heartbreaking shockers that typically accompany these final episodes. Instead, we got, what I felt was, a perfect ending to a great season, especially these last few episodes. 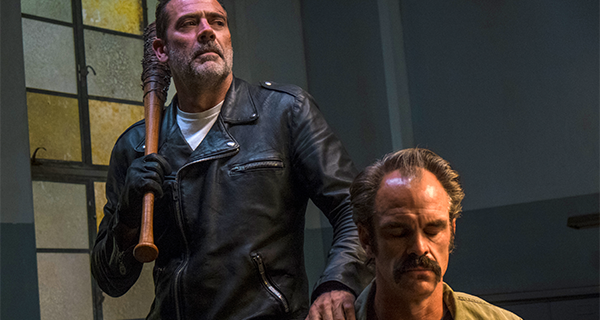 The network has released the “most talked about scene” from the episode, which centered on the town meeting, where Rick’s fate was to be decided. 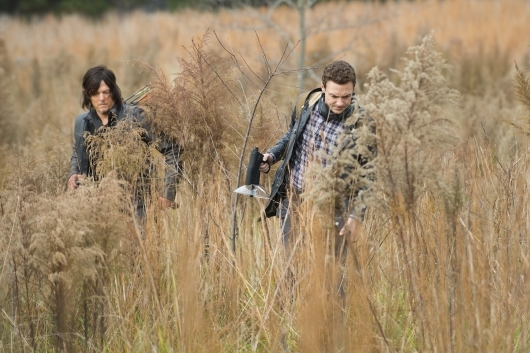 AMC has also released two behind-the-scenes featurettes — one is a 3-minute “Making of” featurette on the booby trap scene, while the other is a 5 1/2-minute “Inside Look” at what was going on at the Alexandria Safe Zone, as well as what Daryl and Aaron came up against on the outside. 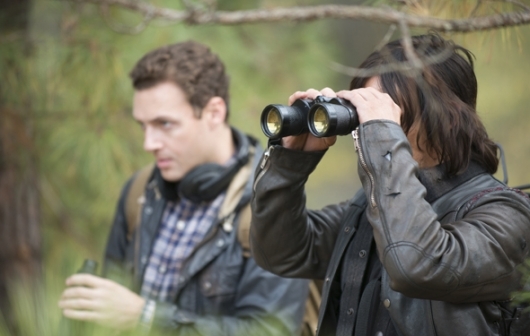 For tonight’s Season 5 finale of AMC’s The Walking Dead, the showrunners promised us blood. They promised us loss. 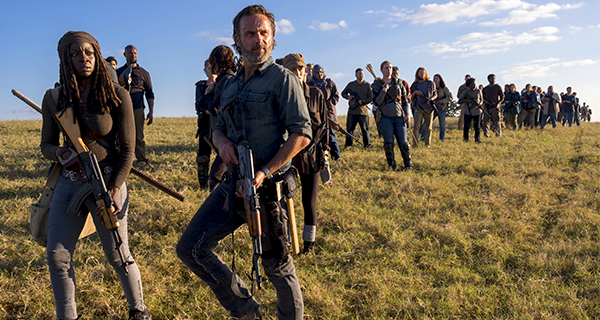 And we got both of those things in Episode 516 “Conquer.” But, for this final installment of the season, we also saw redemption, forgiveness, and enlightenment, as well as a look at some of the real horrors that await the residents — both original and new — of the Alexandria Safe Zone. It’s well known that fans of The Walking Dead have every intension of rioting if one of the main, fan-favorite characters dies. The show has made it a habit of shockingly killing off some of the beloved people who we’re just not ready to say good-bye to. Thankfully, for the season finale, they didn’t pull that gimmick. Instead, we see the culmination and resolution of some of the biggest, most contentious relationships and situations of this season.